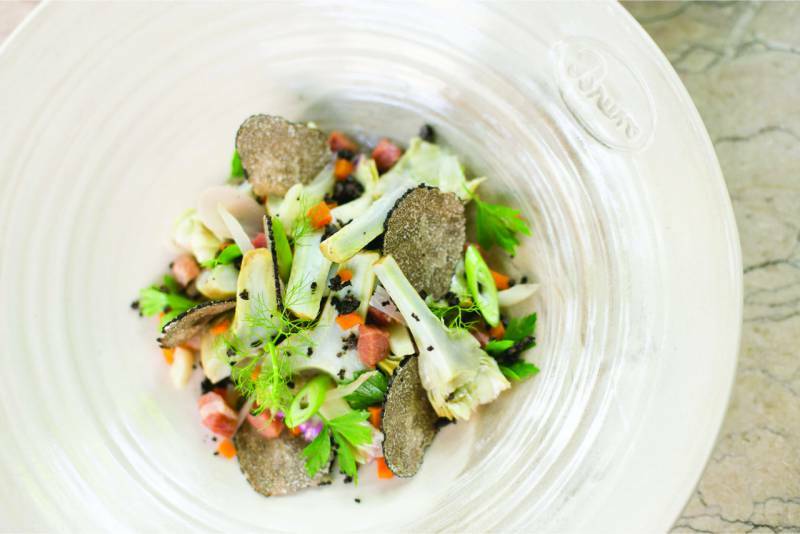 This restaurant is a must-see if we are talking about truffles. Famous all over the world, praised by gourmets, frequented by royalty… Clément Bruno has become a reference point for excellence in Lorgues. Awarded a Michelin star, his restaurant is a family business in this green and peaceful corner of the Var hinterland. Both his sons give him a hand, Benjamin working in the kitchen, while Samuel looks after the dining area. 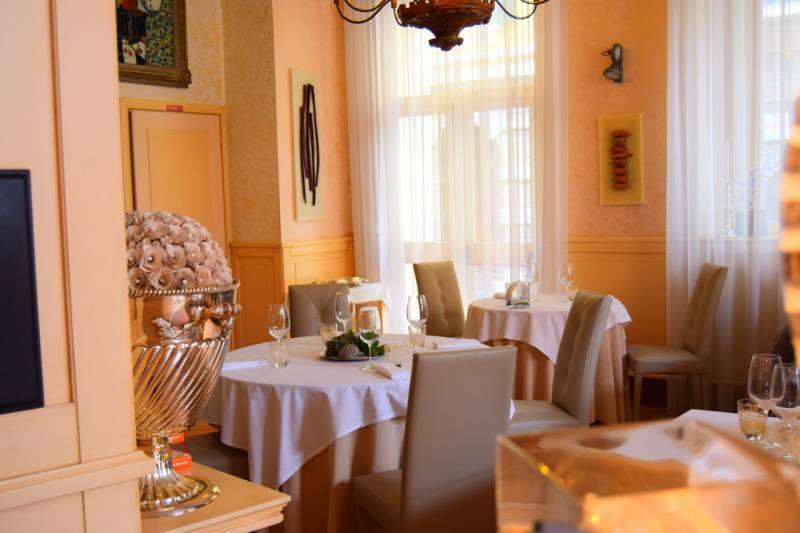 Created in 1983, at the time of Benjamin’s birth, this table d’hôte has become a fancy gastronomic destination. A native of Piedmonte, Clément Bruno has made truffle his personal trademark. «My father grew up in Aups, a provencal homeland of truffles. His parents were poor peasants, and since chocolate was expensive, it was replaced by truffles at Christmas time. Back then, it was much more affordable …», says Benjamin. This is how the passion for the king of all mushrooms was born. According to the Bruno family, it is a great match for anything, but gives its very best in simple and traditional recipes. «We put it everywhere, but sparingly. You have to know how to use it to optimize its true value. 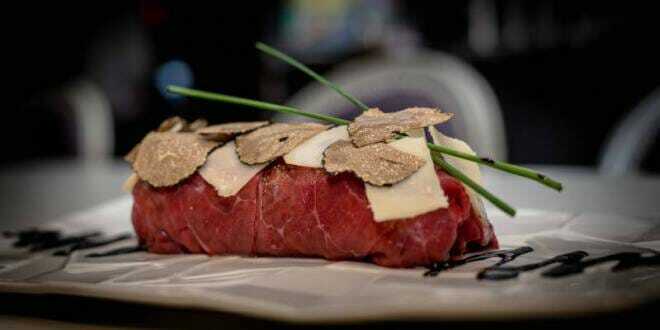 The truffle must be able to dominate, gain the upper hand, impose itself like a diva». Once this is done, it is a real marvel with pasta, eggs or vegetables. The great specialty of the house is a potato, slowly cooked for about two hours, topped with a truffle cream and a few fresh truffle slices. This is Bruno’s signature recipe that is an all-time winner. just published by Campanile, has many other surprises in store for you. This is a breviary for all gourmets. Its pages are to be enjoyed without moderation. Open every day except Sunday evening and Monday. 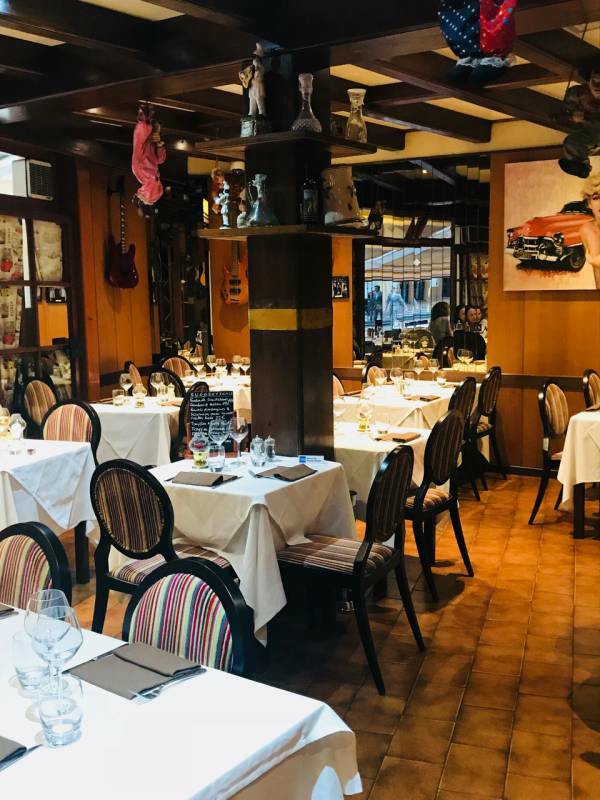 This hidden little corner, next to Ventimiglia station, is not as frequently visited as you may imagine, given the excellence of its cuisine. But it is truly appreciated by its loyal and gourmet clientele. This address already features in several guides. It will therefore not be surprising at all if one day it is deservedly blessed with the award of a Michelin star. 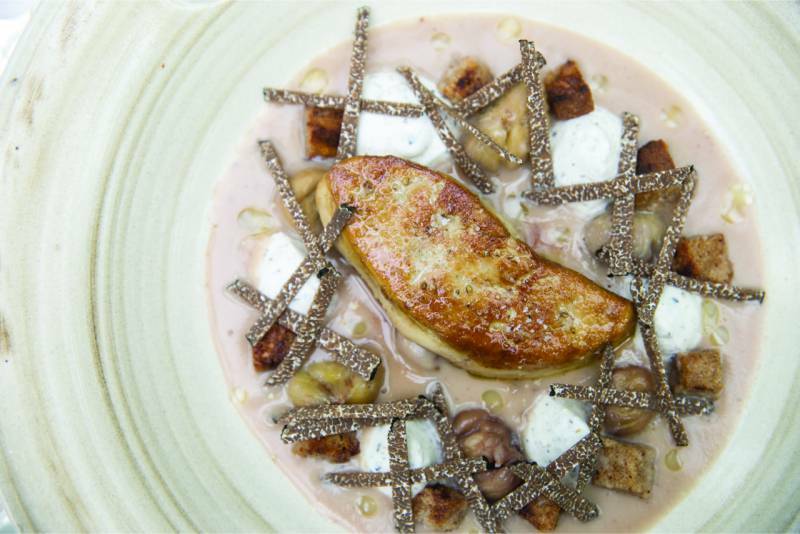 Aesthetic dishes composed by its chef Emanuele Donalisio, one of the Young European Restaurateurs, are served in a classic and refined setting. 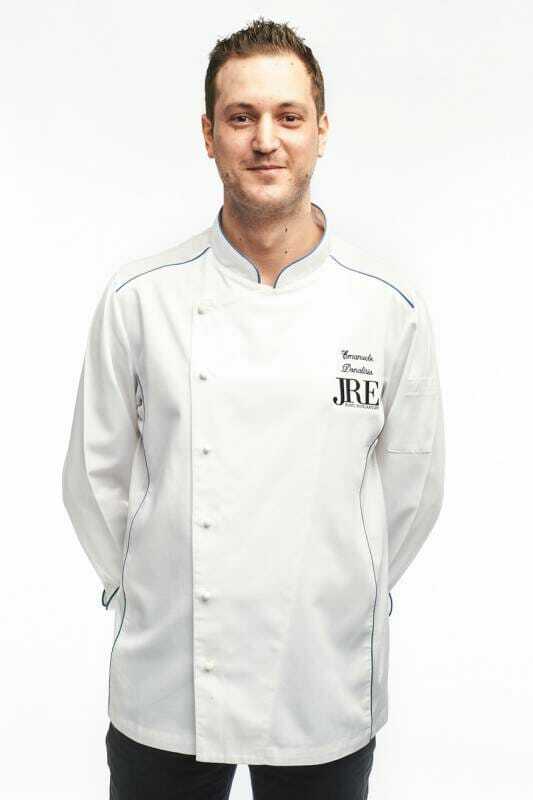 Piedmontese by origin, the chef learnt his trade on a luxury-cruise ship and in the two-Michelin-star Michel Roux restaurant in London, «Le Gavroche». What that means is he has definitely mastered a sense of innovation and a taste for fantasy. 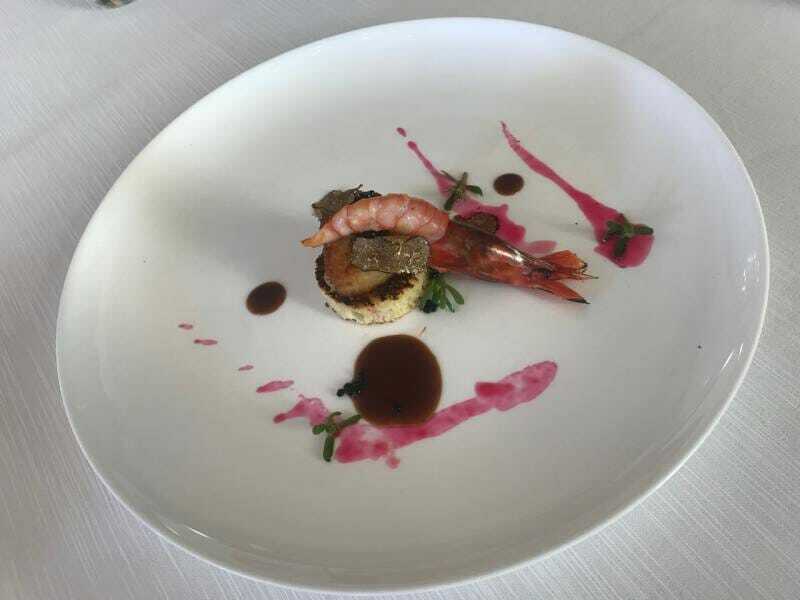 The aptly named «Il Giardino del Gusto» treats you to a seared scallop topped with a giant, freshly braised red Sanremo shrimp, enriched by a fig emulsion and black truffle pearls. A feast for the eyes and for the palate alike. 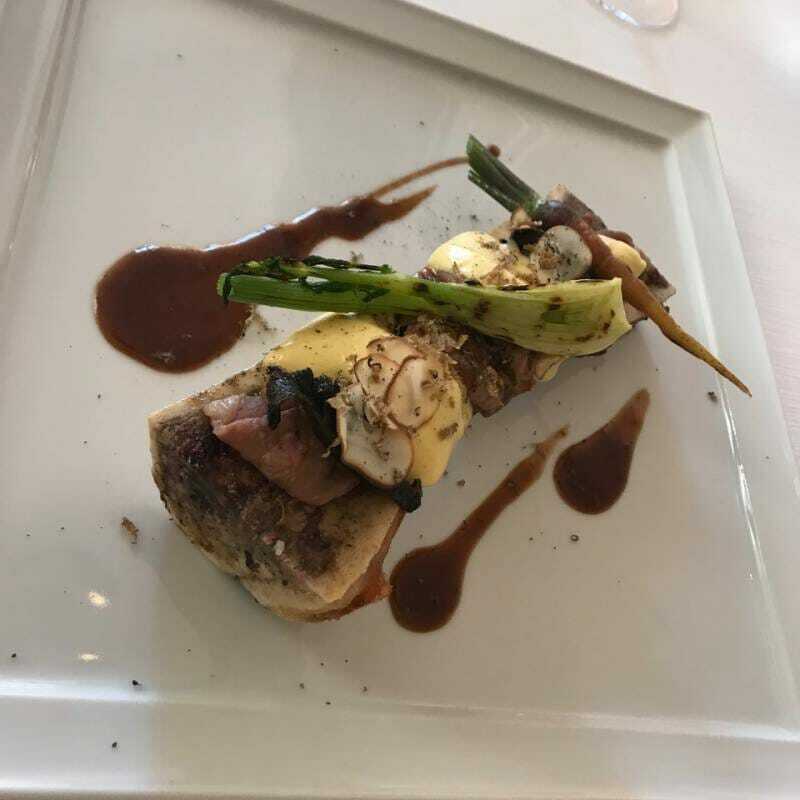 Another remarkable creation is the veal bone cooked with its marrow and stuffed with Argentine beef or fish and shellfish, all topped by truffle slices. This is an original taste that will tickle your taste buds. The refined desserts also bear a truffle note. Homemade brioche bread and meticulously selected wines — just gives you a glimpse of the gastronomic feast that is awaiting you out there. The best of Italy in a cosy atmosphere. Open every day, except for Monday and Tuesday lunchtime. The truffle basks in the knowledge that she reigns supreme. Having said that, this is not an empress to be admired without clothes and she indisputedly merits the finest adornment. Noblesse oblige, she requires a special gastronomic enhancement and a suitable setting. 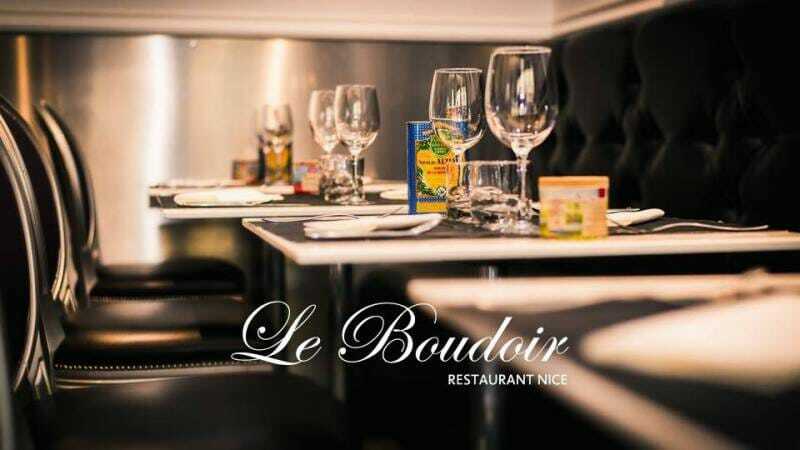 The restaurant «Le Boudoir» located in the centre of Nice is just the right place for that. Designed for thirty covers only, its lounge is decorated in soft and sober tones. This is a really good setting for chilling, relaxing and having a conversation. 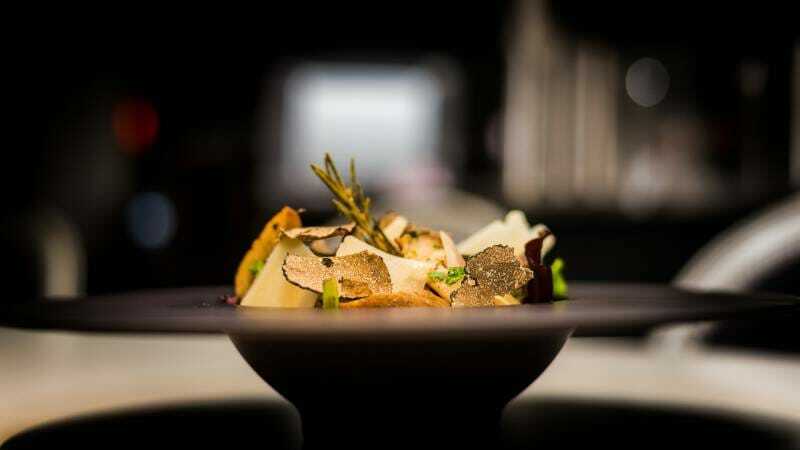 Its ingenious and refined cuisine presents the truffle without any fuss, but with taste and subtlety. The menu is renewed monthly with original dishes bringing new flavours. 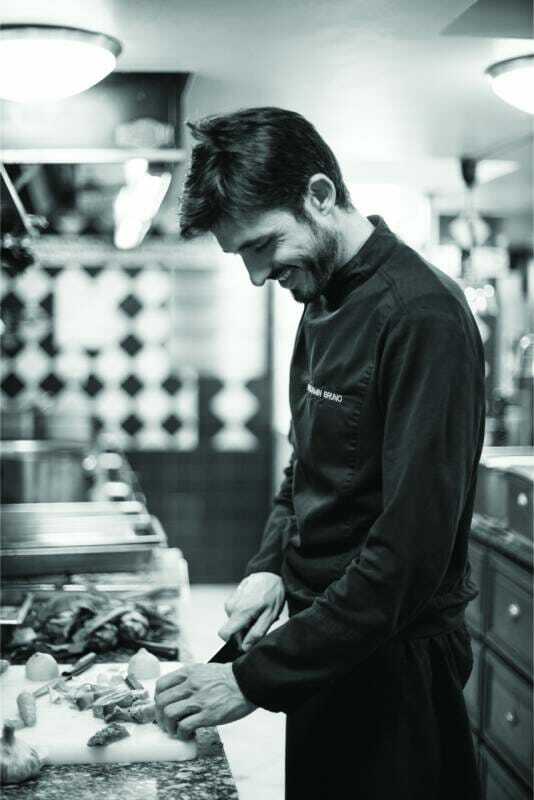 It is Jérôme Juanes who works in the kitchen while his wife is chatting to the guests in the dining room. A family atmosphere predominates that delightfully suits these dishes cooked tenderly with much love. 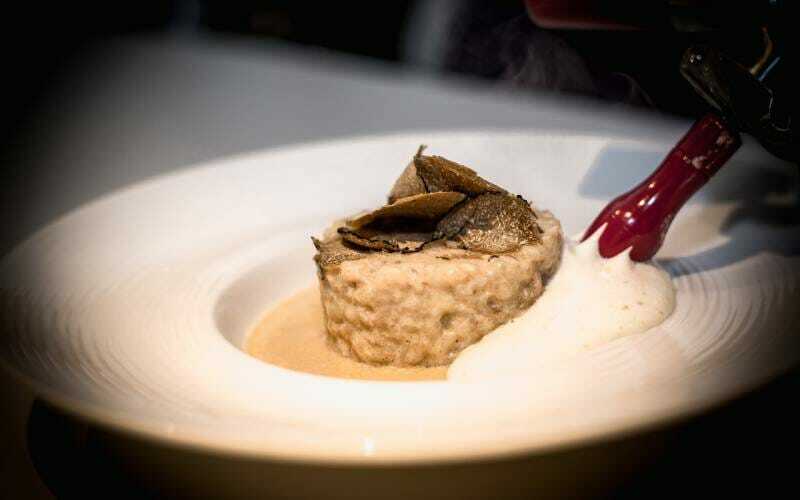 The truffle risotto sometimes is enhanced with wild mushrooms, while the rolled carpaccio is beautifully enhanced by the unique unrivalled scent of the Winter Queen. As to Saint-Marcellin or Crème Brûlée, they are crowned with a new flavour too thanks to this noble recluse from those few rare privileged woods. The generous plates can be savoured in an exotic or a vegetarian version. The menu is not large, but you will be offered a wonderful selection of specialties made right on the spot. This is a guarantee of freshness, quality and originality. For your night to be an absolute success, some fine bottles of wine await your pleasure in the well-stocked cellar — a perfect accompaniment for your food. Just treat yourself like royalty to a gourmet and cosy evening, in all privacy. Open every day for lunch and dinner, except Tuesdays and Wednesdays. 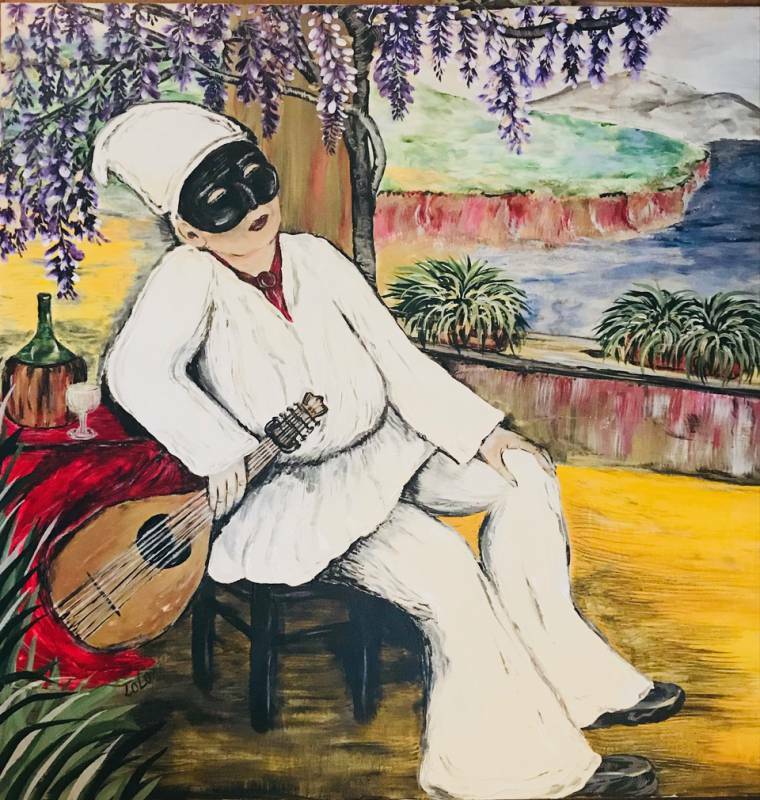 Pulcinella is somewhat like French Polichinelle, a cheerful, facetious and endearing character from Commedia dell Arte. He enjoys life, wine, celebration, love and… good food. The name matches this restaurant ideally. 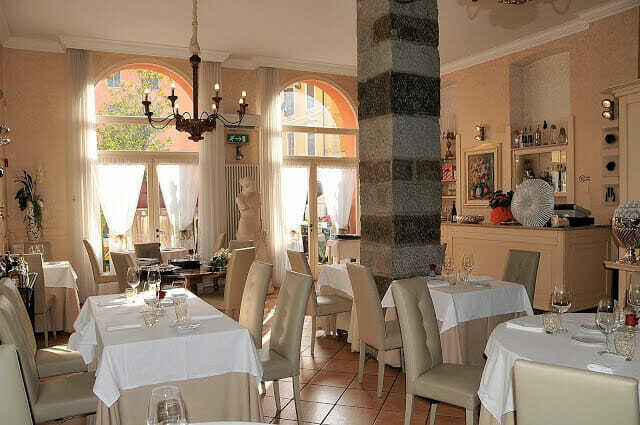 Located not far from the Larvotto, this is a gastronomic stopover bathed in the Mediterranean air. French, Italian and Asian flavours abound. 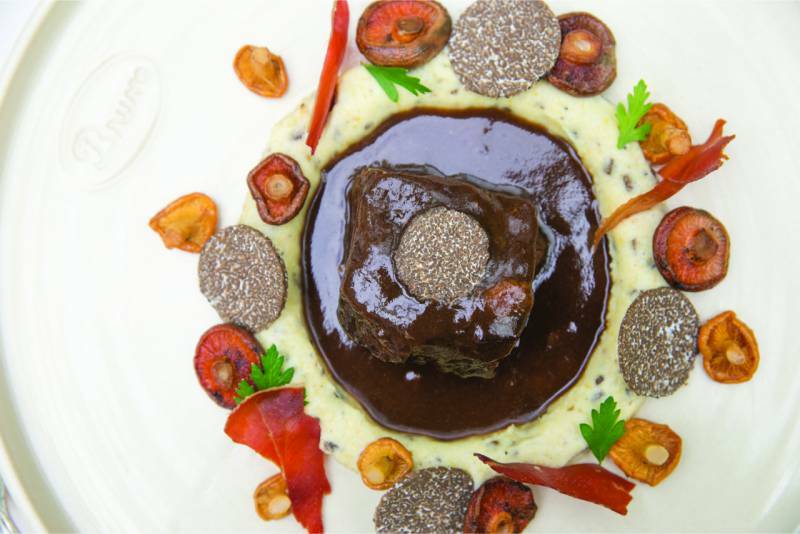 You will bask in a fresh and colourful ambiance and at the perfect time for celebrating the truffle season. 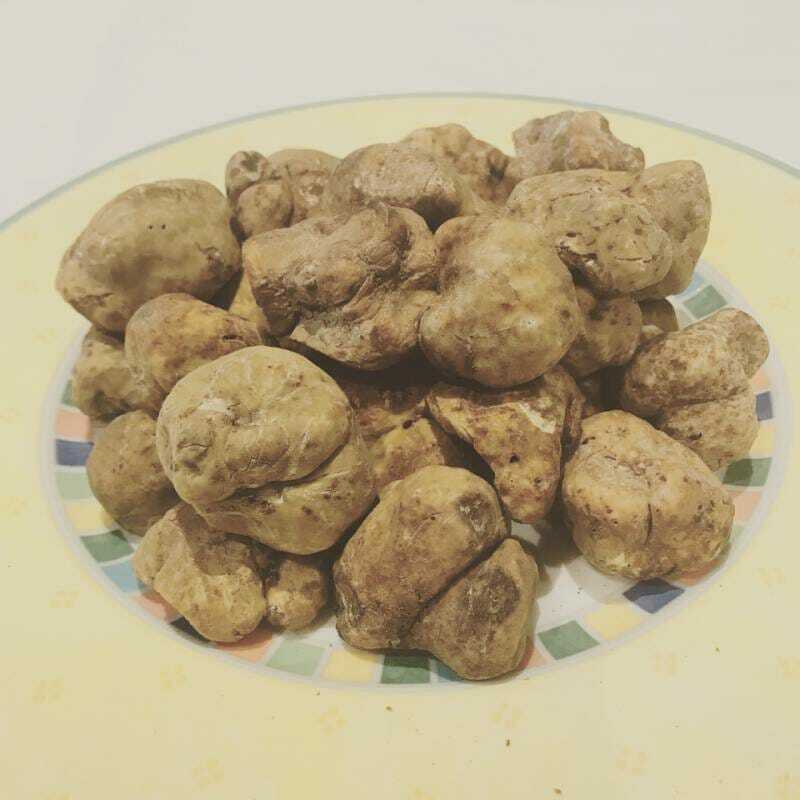 Because, now is the time for the renowned and rare white Alba truffle to grace our tables. It embellishes a carpaccio, risotto, home-made pasta, including the famous taglioni pasta, and fried eggs alike. The chef, Antonio Camporeale, has been working in this kitchen for five years. Born in the south of Italy, he injects good humour, colours and fantasy into his dishes, favouring high-quality local products. Venetian masks, paintings and musical instruments are all part of the interior decor, evoking the splendour of a world-famous carnival. And the dishes are just as harmonious. They sing and dance a farandole of happiness to some artfully selected Italian wines.